The Fairways at Savannah Quarters is positioned on the Greg Norman Signature Golf Course where everyone enjoys scenic surroundings and fine landscaping. 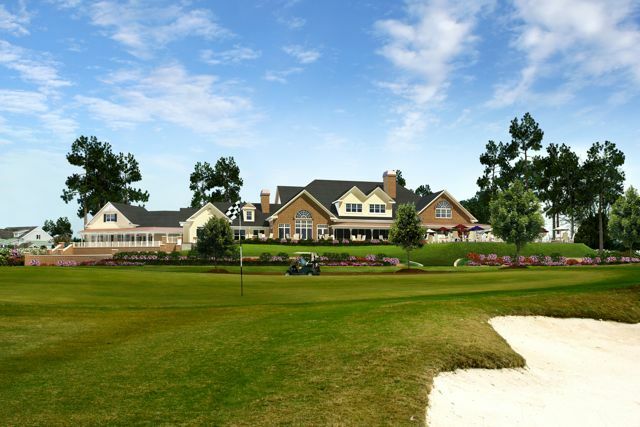 Located in Pooler, Georgia, The Fairways at Savannah Quarters provides Southern charm in a country club setting. Residents can enjoy numerous amenities and social activities, including access to the 18-hole golf course at the Savannah Quarters Country Club. Outside of the community gates, residents will also love exploring all of the attractions in the Savannah area. Open to residents of all ages, The Fairways is an intimate neighborhood found within the Westbrook area of the larger Savannah Quarters development. With only 80 homes planned, The Fairways at Savannah Quarters will appeal to residents who prefer to live in a close-knit community. This enclave also offers its own clubhouse and swimming pool in addition to the amenities found in the larger community. 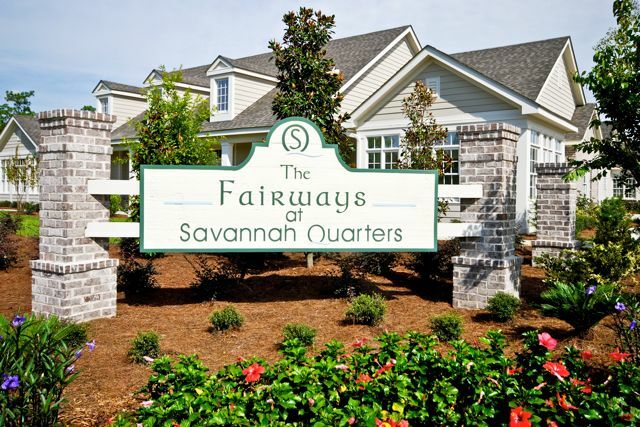 The Fairways at Savannah Quarters’ 3,300 square-foot clubhouse is an inviting gathering place for community residents. Its double-fireplace adds a cozy touch to the comfortable lounge area, and the fitness center helps residents stay in great shape. There is also plenty of space for socializing, including a game room with billiards and card tables, and an outdoor swimming pool with a surrounding lanai. In the larger Savannah Quarters community, residents of The Fairways will enjoy many more amenities. The popular Swim and Fitness Center provides state-of-the-art facilities which feature the best in cardiovascular and strength-training equipment. Outdoors, residents can make use of the interconnected lap pool and resort-style swimming pool. Residents of The Fairways at Savannah Quarters will also have access to the community’s 18-hole golf course. The amenities continue at the Savannah Quarters Country Club Clubhouse which contains both dining and golf features. There are men’s and women’s locker rooms, bag storage and shoe service to support the needs of the community’s golfers. Dining options include the members-only Golf Grille, the Wine Room and the main Dining Room. Residents of The Fairways at Savannah Quarters will also have access to the community’s 18-hole golf course. Designed by Greg Norman, this par 72 course spans 7,066 yards and incorporates the area’s natural beauty by including stately oaks and cypress trees, as well as scenic lagoons. Resident golfers will be happy to learn that this course has multiple tee boxes and was created to be accessible, yet challenging for players of all skill levels. Beyond the community gates, The Fairways at Savannah Quarters residents will find many appealing aspects to the Savannah area. The city has a rich history, scenic beauty, historic architecture, and exciting modern-day attractions. Music and art festivals add seasonal flair, while museums, restaurants, shopping centers, and performance venues provide entertainment year-round. With both the intimacy of The Fairways’ cozy clubhouse and the resort-style amenities found within the larger Savannah Quarters development, this lovely neighborhood is ideal for retirees. In Coastal Georgia, The Fairways at Savannah Quarters is one active lifestyle community which offers Southern charm and desirable features to support an active adult lifestyle.